Free N One is a faith-based approach to treatment with Cognitive Behavioral Interventions and Therapy (CBT). Surrender To Win: is sponsored by Free N One drug and alcohol program. 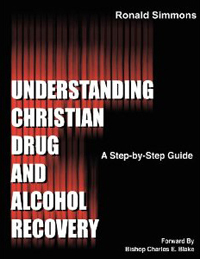 Free N One believes that alcohol and drug addictions are symptoms of sinful behavior, negative emotions that lead to negative consequences. Free N One believes that the disease of addiction centers in the mind of the addicted person. Free N One believes persons using drugs and alcohol and their love ones are affected by their using must seek help. Free N One believes that this help is found in establishing a personal relationship with Jesus Christ and learning how to be free. Surrender to Win is a weekly blog created by Dr. Ronald Simmons. The goal of Surrender to Win is to share with the world that recovery is more than staying clean and sober. Millions of people are free from their addiction all because they surrendered and followed some simple steps. Surely one of our biggest hurdles when walking through the doors of recovery is being honest. For many it takes years to separate “fact from fiction”. To survive in drug and alcohol environment lying and deceit is a must. So we walk into freedom trying to fit in but we bring that lying spirit with us. Then there are those who don’t want people to know who they really are, they believe they will not be accepted by the group so they put up a facade, a front, to be accepted by the group. Then there are those who have no clue who they are. They live like a “chameleon” lifestyle honesty is far from them, and they don’t know it. Prayer is a great place to start with being honest. To the best of our ability we talk to God hoping he will accept us and meet us where we are. Prayer brings humility because we know we can’t fool God. “Here I am Lord, this is me”. Prayer is a great place to practiced honesty. Slowly but surely that practice is transferred outside of prayer. The rooms of recovery is another great place to practiced honesty around others. Here no one can judge you, here everyone has a past. Honesty just doesn’t show up, we have to make a conscience decision to be honest, it’s a practice. Surrender To Win: It’s hard to lie to God, start there! The joy of being free can sometimes bring on new problems. Once we adapt to a schedule that seems to be working in our lives we try not to do anything that will disrupt this new found freedom. Going to work, making our meetings, and taking care of those things that have been set before us like paying our bills on time, planned clothes washing day, scheduled house cleaning day, if we can accomplish this, we are batting a thousand. Slowly but surely God begins to ask for more of us. Just being clean and sober is not enough. In some areas He’s like the mother bird pushing you out the nest, making you take steps that are very uncomfortable. In other ways it like peeling an onion. When working with our sponsors or daily examining ourselves and facing our negative behaviors recovery now demands we face make a changes in our character that have become defects. Here we see God moving us to a higher level, and for those who hesitate have to examine their relationship with God. The puzzle of who we are and will become has a million pieces, and it takes God to put this puzzle together. Surrender To Win: We didn’t come this far to come this far. The process of recovery is ongoing. It’s not by accident you face these challenges at this time. Challenges will change you and help you to be the person God wants you to be. The picture of our old self will forever be edged in our minds. As the years days and months move towards a better life we see a better life on the horizon. We recognize our bad behaviors when they show up because they stand out like a sore thumb. We credit this consciousness to our relationship with God. We see things with a spiritual 3rd eye. We share these findings with others and we see that we are not alone. This road to recovery is filled with people just like us which makes this journey to recovery that much better. Iron sharpens iron, so we grow close to those whose eyes are wide open, and walk the road of freedom. We look forward in sharing with others what God continues to reveal to us. Unlike when we were drinking and using living in a world of death and destruction, these unchartered waters brings joy and gratitude. Today we face these old behavior and we welcome the challenge, knowing that one day at a time we will overcome. We will find better ways to express ourselves. Happiness is found in the battles to get “life right”. We no longer sit on the side line and wait for things to change. Joy is found in“pressing towards the high mark that God has set for us” trying to do better and the victories (big or small) that come with each attempt. Today we participate in our own recovery by first showing up. Surrender To Win: Discovering new found spiritual truths makes me hunger for more. Keeping my eyes wide open, and my head on a swivel, I find nuggets everywhere. Drug and alcohol addiction takes you on a journey far from your original destination. The Word of God the process of recovery and the Steps will help you find your way back to you. The quicker you surrender to God’s plan the quicker you arrive. Many find a better person than the one before they started drinking and using. Letting go of old behaviors will be the uphill battle, and most of the time we don’t know why we continue to hold on to them. Throwing your hands up in surrender makes for a less stressful journey. Even the valley’s and rough places are bearable because today you are convinced God ordered your footsteps and was with you even in your addiction. In your journey you met joy, love, peace and happiness, and they become a welcomed part of your life, so much so you protect them with all your being. As you look through the rear view mirror of your life you see that God was holding your hand the whole time and things could be a whole lot worse. Once the smoke clears and your convinced you’re on the right road call life you recognize the new you, and it’s that day you find out that you’re not that bad. Still under construction the mistakes become learning tools that make you better and you don’t beat yourself up when you fall. Surrender To Win: Today God is my source, my direction, my help. If I keep my hands in His hands I can rest comfortably knowing everything will be all-right. When you ask a person “what is it they are afraid of when they arrive at the 4th step” many can’t tell you what it is. Some believe by facing their past it will unlock something that will cause them to have a nervous breakdown or even worse drink or use. Some just need a little push to get them started. Others need to be held by their hand until they can walk on their own. And still others have to re-examine their 3rd step experience. At the 3rd step you look too God who chips away at that fear. Learning how to step out on faith and believe everything will be alright is a good indicator that you are trusting in God. Overcoming fear is very important part of recovery and every recovering person will have to face it. Fear and faith cannot live in the same house, only one can rule. Surrender To Win: Those that continue to mature know that God didn’t bring them this far to leave them. One great writer wrote “I’d rather see a sermon than hear one any day”. Those that learn how to “live the Word of God” or “live the program” learn how to apply the process of recovery to their lives. They connect to the God of their understanding and begin to say “yes” to what is right, and “no” to those things that are wrong. Change will be the obstacle that will confront every recovering person head on. When there’re no change there’s no change. Those that refuse to change stay the same. No one arrives at the rooms of recovery with just a drug or alcohol problem. They have a “living” problem. Negative behaviors have to be confronted and a plan put in place to combat that behavior. At the end of the day something has to change in the individual. Change begins when you step out of your comfort zone. Surrender To Win: Embrace the change, God is taking you to a place that you will surely fall in love with. One person said “If you think it’s hard watching an addict/alcoholic slowly destroy themselves, just think what it must feel like to live it”. No one beats us up more than we beat ourselves. Stopping and starting, finding freedom and losing it, doing our best to do right, or live right but always coming up short. The mental anguish can be overwhelming. Each failure moves us deeper into depression. Shame and guilt drives us into isolation from family and friends, and for some reason we think we are the only one that continues to go through this pain. Understanding the disease of addiction helps us to understand the battle we fight daily. Now that we know the disease centers in our mind and can attack us from so many dangles, it was a great day when we learn that “we’re not bad people trying to be good but sick people trying to get well”. Welcome to our sickness! Finally we know what were up against, a fight for our sanity, a fight for our freedom, a fight for our lives. The good news is we can now fight back by following the millions of people that have went before us and daily they find freedom. We learn how to share in our groups with our sponsors, and peers, we get important feedback from those that have traveled this road. Now that we are equipped with tools to fight back we can’t allow our mistakes to overwhelm us. We examine each failure and work hard at not letting it happen again. Today we know what the enemy looks like and the enemy is in-a-me. We now know that we are in a fight for our lives, but this time God is leading the charge and He uses people to carry the message of hope. Surrender To Win: Millions of people are free from their addiction, you don’t need four years of college, do what they did!